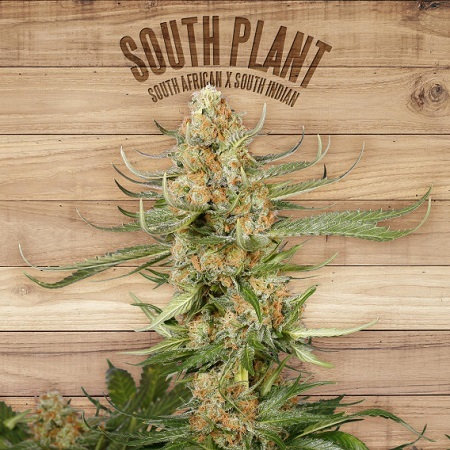 South Plant is a 75% sativa cannabis strain that was bred by crossing South African sativas with a plant from the South India. 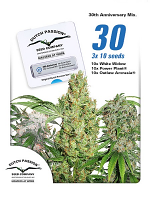 South Plant Feminized Marijuana Seeds by The Plant Organic Seeds: South Plant is a 75% sativa cannabis strain that was bred by crossing South African sativas with a plant from the South India. 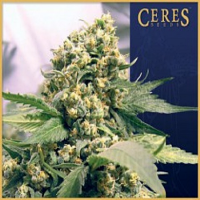 Due to the size and density of its buds it is not a strain that is recommended for beginners as a close eye will need to be kept on it during the later stages of flowering and the use of de-humidifying techniques as well as good air circulation necessary. This is a medium-sized plant, reaching a height of approximately 120 cm, but one which will probably require staking in order to support the weight of its buds; the structure is of a large central cola along with masses of smaller buds on the side-branches. 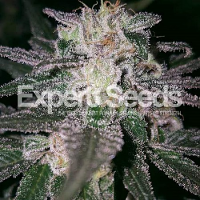 Indoors flowering takes 8 weeks with outdoor harvests in the northern hemisphere being ready during October. South Plant produces good yields; indoors growers can expect between 450 - 500 gr/m2 while plants grown outdoors can comfortable produce 550 - 600 gr. each. 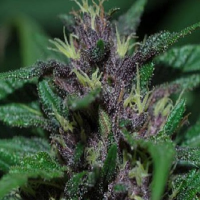 The aroma is very fruity and its taste is sweet and earthy in nature. 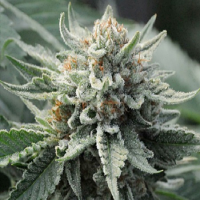 It is a plant with a powerful, potent happy effect and the cerebral nature of the high is increased by harvesting on the early side. 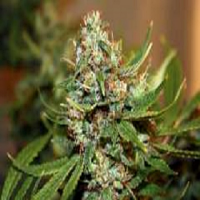 Said to be an aid to concentration it also has therapeutic applications in combating both depression and loss of appetite.